“Résonance.” Carl Friederich ABEL: Prelude in D minor, WKO 205; Prelude in D minor, WKO 207. Johann Sebastian BACH: Sarabande from Suite No. 6 in D minor, BWV 1012. Jean de SAINTE COLOMBE: 16th Prélude in D minor. Le Sieur DE MACHY: Suite in G minor (1680). Philippe HERSANT: L’ombre d’un doute (2003); Le Chemin de Jérusalem (2007). Tobias HUME: Captain Hume’s Pavan; Pavan in A. Christopher SIMPSON: Profusios; Prelude in D major; Prelude in E minor. Christos CHRISTODOULOU: 26 août, Fantasie du Village (2007). G.I. GURDJIEFF: Prayer for Mercy (1925). Nima Ben David (viola da gamba). MA Recordings MO88A (1 CD) (http://www.marecordings.com/). Gorgeous sound and stupendous playing in this sundry program of solo viola da gamba pieces spanning from its heyday until now. YES, PLEASE. “Gert Mortensen. The Percussion Universe of Axel Borup-Jørgensen.” Axel BORUP-JØRGENSEN: Solo, Op. 88 (1979)1; Music for percussion + viola, Op. 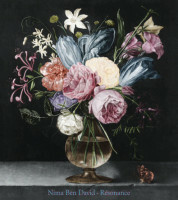 18 (1956)2; La Primavera, Op. 97 (1982)3; Periphrasis, Op. 156 (1994)4; Winter Music, Op. 113.1 (1984)5. 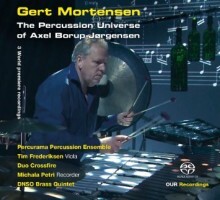 Gert Mortensen1,4,5 (perc), Percurama Percussion Ensemble2, Gert Mortensen2 (cond. ), Tim Fredericksen2 (vla), Duo Crossfire3: Gert Mortensen, Qiao Jia Jia (perc. ), Michala Petri4 (recorder), Danish National Symphony Orchestra Brass Quintet5. OUR Recordings 6.220608 (1 SACD) (http://www.ourrecordings.com/). Percussion ambassador Mortensen curates Danish modernist Borup-Jørgensen’s music. Periphrasis for recorder and percussion stands out. MAYBE. Yevhen STANKOVYCH: Symphony No. 2, “Heroic” (1975); Symphony No. 1, “Sinfonia larga” (1973); Symphony No. 4, “Sinfonia lirica” (1977). 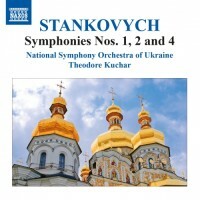 National Symphony Orchestra of Ukraine, Theodore Kuchar (cond.). Naxos 8.555741 (1 CD) (http://www.naxos.com/). This gallant Second powerfully denounces war’s horrors. Scored for strings, both Nos. 1 and 4 pulse with emotive and tuneful dissonance. YES. Marc-André DALBAVIE: Concerto pour flute (2006)1. Michael JARRELL: …un temps de silence… (2007)2. Matthias PINTSCHER: Transir (2006)3. 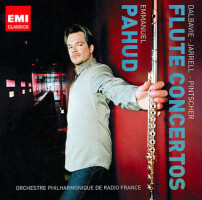 Emmanuel Pahud (fl), Orchestre Philharmonique de Radio France, Peter Eötvös1, Pascal Rophé2, Matthias Pintscher3 (cond.). EMI 50999 5 01226 2 2 (1 CD) (http://www.emiclassics.com/). Navigating over precisely sculpted orchestral textures, the solo flute deftly avoids clichés even if these three may smudge together. MAYBE. 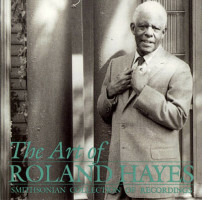 “The Art of Roland Hayes.” Var comps. Roland Hayes (ten), Reginald Boardman (pno). Smithsonian Collection of Recordings RD 041 (1 CD) (http://www.folkways.si.edu/folkways-records/smithsonian). Search for this o/p disc as there are few recordings of this expressive tenor who broke the color barrier and influenced all around him. YES. 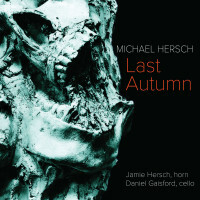 Michael HERSCH: Last Autumn (2008). Jamie Hersch (hrn), Daniel Gaisford (vlc). Innova 907 (2 CDs) (http://www.innova.mu/). Seriously, actually very seriously, this heavy tapestry for horn and cello duo provides 41 lonely movements responding to W.G. Sebald. MAYBE. 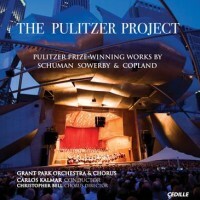 “The Pulitzer Project.” William SCHUMAN: A Free Song (1942). Aaron COPLAND: Appalachian Spring (1944). Leo SOWERBY: The Canticle of the Sun (1945). Grant Park Orchestra & Chorus, Christopher Bell (chorus dir. ), Carlos Kalmar (cond.). Cedille CDR 90000 125 (1 CD) (http://www.cedillerecords.org/). Despite admirable scholastic intentions, this bland Appalachian Spring inadvertently demonstrates why we never hear the other two pieces. NO.